To use PayPal CREDIT as your payment option you must have a PayPal account. Once you log in you must choose the PayPal Credit option. You will be required to provide your Date of Birth and the last 4 digits of your Social Security number, for a credit check. Click here to view the PayPal Credit Terms and Conditions. 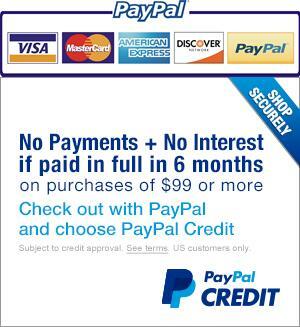 Click here to view the PayPal Credit FAQ. Please print your receipt and give it to the membership committee with two signed copies of your application. Submitting and/or paying for your membership does not imply acceptance to BNI. All applicants must be reviewed and approved by the chapter Membership Committee in order to become a BNI member. For any questions, or if your membership application is not accepted by the BNI chapter, for refund please contact the Michigan regional office at (586) 336-3000 x101 or send an email to laura@bni-mi.com.